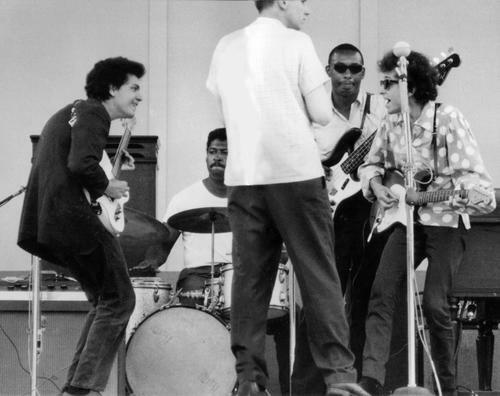 I blogged about Mike Bloomfield and Bob Dylan in December, writing here about their first encounter in Chicago in 1963, the crucial role that Bloomfield played backing Dylan at the Newport Folk Festival, the beautiful licks he laid down on Highway 61 Revisited, and his decision to stick with Paul Butterfield rather than Dylan when he came to that crossroad in August 1965. But I didn’t elaborate on the connection they shared with Big Joe Williams, who was a formative influence on both, and may have been the only major bluesman whom Dylan played with in his early years. In the case of Dylan and Williams, what “early” connotes is pretty unclear. If what Big Joe said was true, he’d have you believe he’d met Bobby Zimmerman in 1947 when the cherubic Minnesotan was a six-year-old. That’s unlikely, but Nat Hentoff’s New Yorker article on Dylan–“The Crackin’, Shakin’, Breakin’ Sounds,” published in 1964 when the magazine was renowned for its fact-checking–says, “He had met Williams in Evanston, Illinois, during his break from home at age 12.” Or maybe it happened on one of Bob’s other flights from Hibbing, from which he claims to have run away at ages 10, 12, 13, 15, 15 ½, 17, and 18. 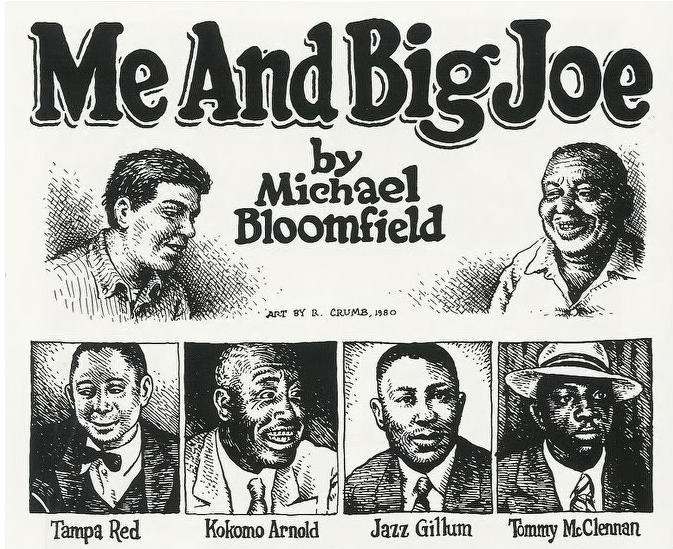 Me and Big Joe, with illustrations by R. Crumb, was first published in High Times, and a small paperback edition appeared in 1980. Toby Byron, who maintains the Michael Bloomfield Legacy website, published Ed Ward’s biography of Bloomfield, The Rise and Fall of an American Guitar Hero, in 1983. He says that plans are in the works for new, deluxe editions of both volumes.